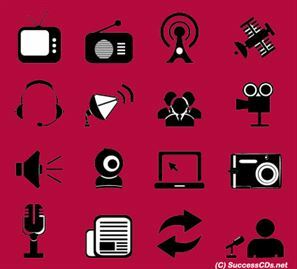 Although some might confuse Mass Communication with journalism, but as the name suggests mass communication is all about disseminating information to the masses at local, national or international levels with or without a necessary intent. On the other hand, Journalism is more about informing people about something meaningful. Journalism is more predictable in its approach in which the emphasis is on information and facts, but Mass communication is more about letting the creative bug make the better of you. Undergraduate courses: Mostly undergraduate courses only required the successful completion of Class XII from any board. Post Graduate courses: A postgraduate course would require the candidate to be below 30 years of age and the completion of a Bachelors degree in any discipline. Some would also prefer work experience in some media related work. Attractive and high paying jobs as journalist, actor, director, editor, screenwriter, RJ, producer, VJ are available to the talented and trained individuals. Starting salary for a mass communication professional could be between Rs 12,000 and 25,000 depending your people and communication skills. After 5 Years of work experience a professional can expect higher salary in the range of Rs 50,000 to Rs 1,00,000 per month.